The postponed Nintendo Direct took place two days ago after being delayed due to the devastating earthquake in Hokkaido last week. The presentation was full of reveals on upcoming Switch and 3DS titles. The Big N revealed that the next chapter in their spooky action-adventure series is currently in production. It will be launching exclusively for the Nintendo Switch sometime in 2019. 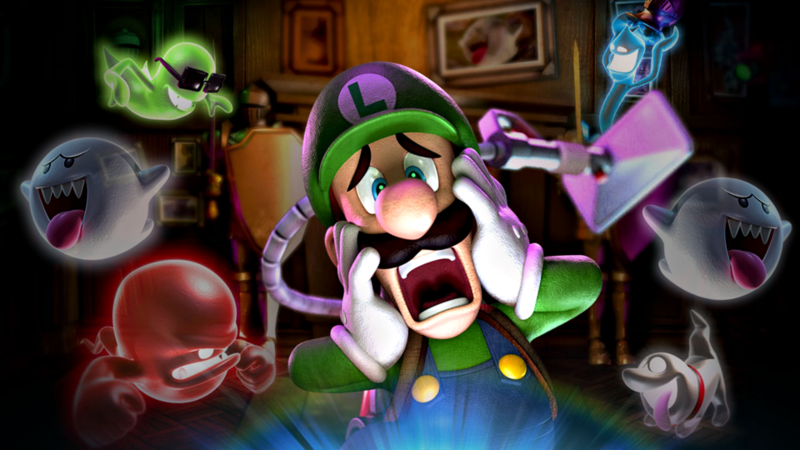 It was also revealed that the original Luigi’s Mansion will be available for the 3DS on October 12th. The classic Wii U title is being revamped for the Switch. Up to four players can enjoy the 2D platformer when it arrives on the console on January 11th. Mario, Luigi and Toad return along with Nabbit and Toadette. The DLC, New Super Luigi U, will also be included. Some of fans’ most beloved Final Fantasy games will be arriving on the Nintendo Switch with high-definition versions. These will all be available on the Nintendo eShop sometime in 2019. Though for some unknown reason, Final Fantasy VIII has not been included. Three other Final Fantasy titles will also launch on Switch in the near future. World of Final Fantasy Maxima arrives on November 6th. Final Fantasy Fables: Chocobo’s Mystery Dungeon Every Buddy! 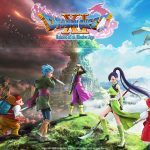 launches in winter and Final Fantasy Crystal Chronicles Remastered Edition comes next year in 2019. On top of all that, Final Fantasy XV: Pocket Edition HD is available to download right now. The first mainline Animal Crossing title since Animal Crossing: New Leaf on the 3DS is set for a Switch exclusive release in 2019. It was also announced that Animal Crossing’s Isabelle will be featured on the Super Smash Bros. Ultimate roster. The turn-based strategy title published by 2K games will arrive on Nintendo Switch on November 16th. Switch owners will be able to fight to get their civilizations to become world powers anywhere they wish. Yoshi’s brand-new platforming adventure is scheduled to arrive on the Switch in Spring 2019. In the title developed by Good Feel, players will experience playing as Yoshi whilst he travels through a world crafted from household items, such as boxes and paper cups. A variety of Capcom’s classic arcade beat em’ up games are coming to Switch in Capcom’s own Beat Em’ Up Bundle. Titles such as Final Fight, Captain Commando and Knights of the Round will launch on the Nintendo eShop in winter. The city-building game developed by Colossal Order and published by Paradox Interactive is now available to download from the Nintendo eShop on the Switch. Owners of the platform can now participate in building and managing their cities, anytime and anywhere. When the Switch Online Service finally launches next week, 20 NES games will be available to play via the NES Libary. This will include Super Mario Bros. 3, The Legend of Zelda and newly announced Ice Hockey and Pro Wrestling. More classic titles are expected to be added regularly. Nintendo Switch Online members will receive exclusive access to a brand-new NES style controller. It’s a recreation of the original controller for the iconic console. This is intended for playing through Nintendo’s library of classic NES games. The controllers will be available to pre-order from next week, on September 18th. For more info, visit the Nintendo website. As well as the original Luigi’s Mansion being announced for the 3DS, two other games were also revealed for the handheld platform. The hit Wii game, Kirby’s Epic Yarn, will arrive in 2019 plus, Mario and Luigi: Bowser’s Inside Story will launch on January 11th.